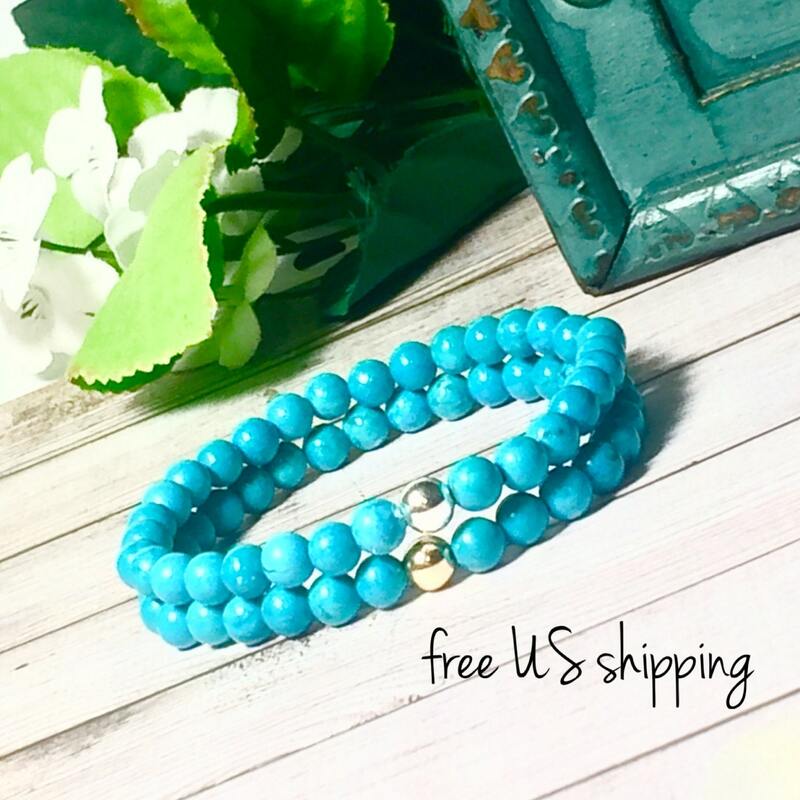 Free Shipping in US! 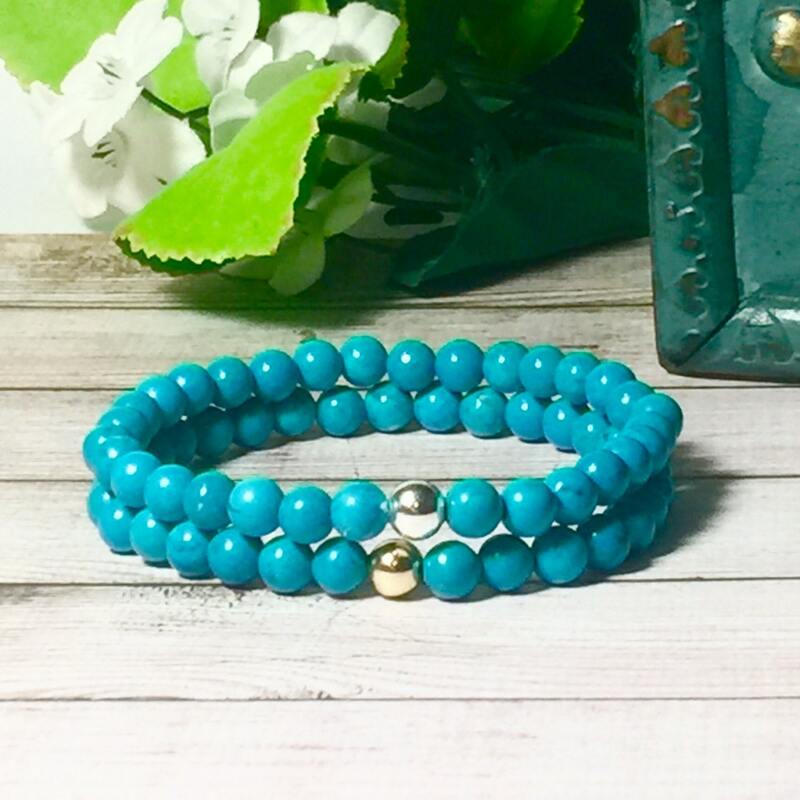 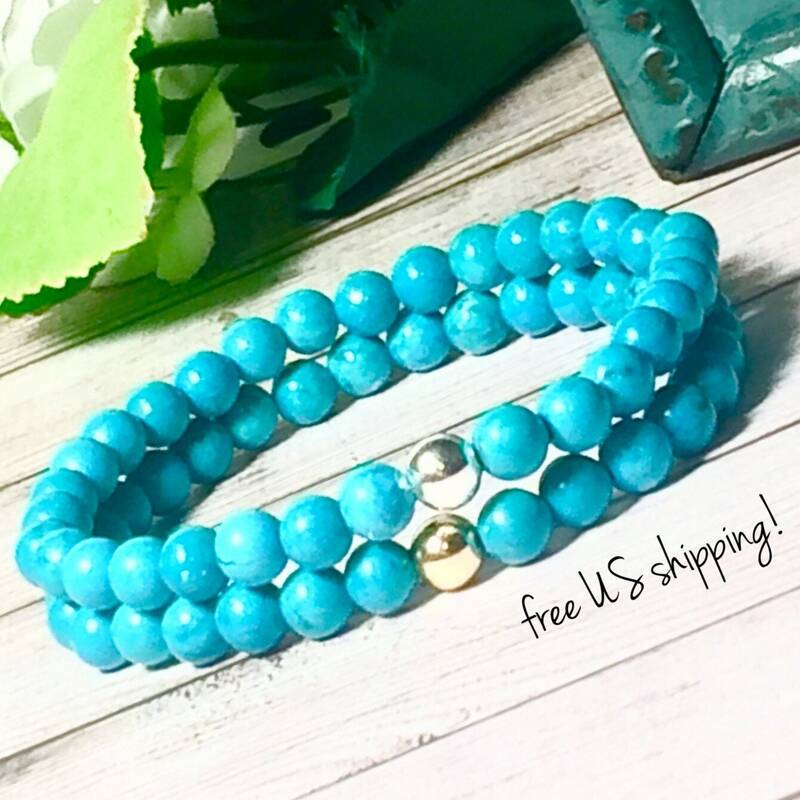 This beautiful beaded bracelet is made with natural AAA Turquoise beads (6mm) accented with your choice of Sterling Silver or 14K Gold Filled focal, or just the natural turquoise beads. 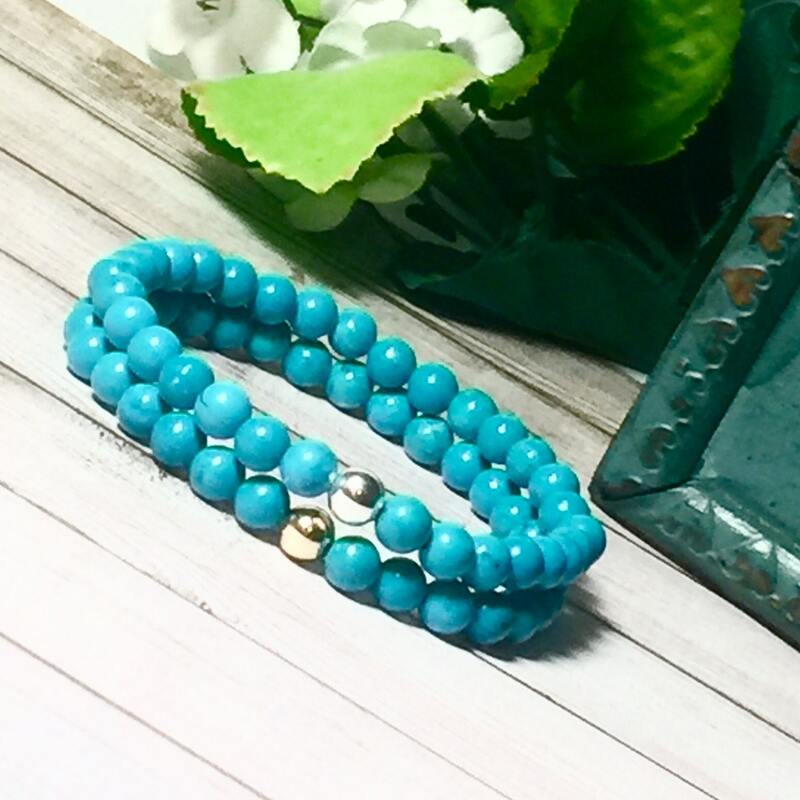 This statement stretch bracelet is made with very strong 1mm cord that will last! 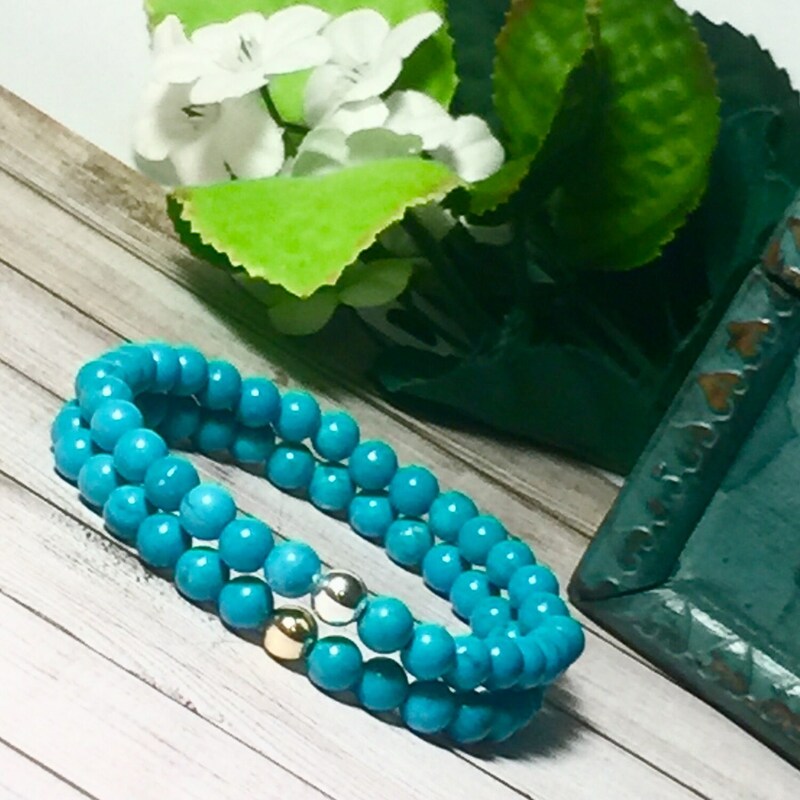 Great with natural cottons in blues and greens.